Bhutan is a small independent sovereign country in the eastern Himalayas. It is a landlocked country bordering to the east, west and south to India and to the north by the Tibet Autonomous Region of China. 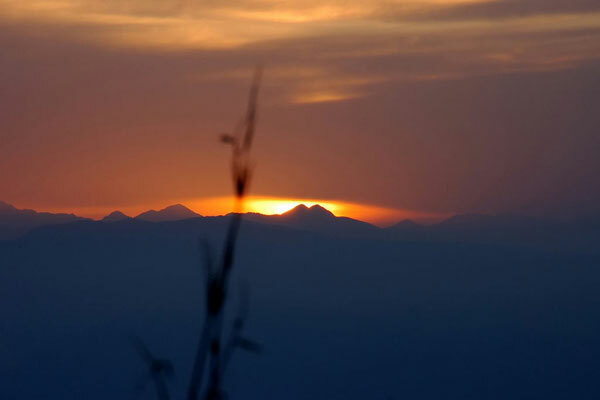 Its official name is DrukYul – Land of Thunder dragon with the additional nickname of DekiDruk(Yul) – (the Land of) of the peaceful Thunder Dragon because modern Bhutan has not only a quite orderly social fabric but according to a global survey of Business Week in 2006 it was evaluated the happiest country in Asia and the eighth-happiest nation in the world. Bhutan is the last stronghold of Vajreyana Buddhism, the most scholarly teaching in the Buddhist world. The state religion of the Kingdom of Bhutan is Vajryana Buddhism and about third-fourth of its population is Buddhist but around one fourth population follows Hinduism and merely one percent account for Muslim and non-religious communities. 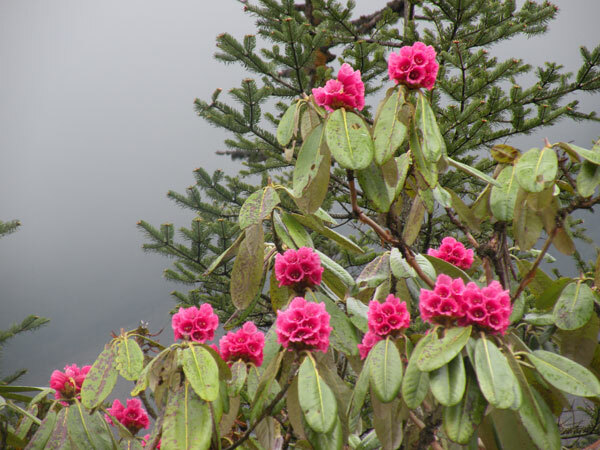 Bhutan is a paradise with fascinating natural beauty. It is widely depicted as a modern day Shangri-La. It is the most peaceful and almost crime free country. Beggars and homeless hardly exist in Bhutan. Education is free and treatment in hospitals and clinics is also free. In case of a patient’s treatment is not possible in the country, the patient is referred to a reputable hospital abroad. There are also numerous indigenous medical facilities in the country. The sale of tobacco and its products is banned (foreign tourist and NGO are exempt) and smoking in public area is a punishable offense in the country. Only a fortunate few most seasoned tourists visit the stunning natural country of Bhutan and they are not only enchanted by its virgin elegant beauty but are also impressed by its strong sense of culture and tradition. 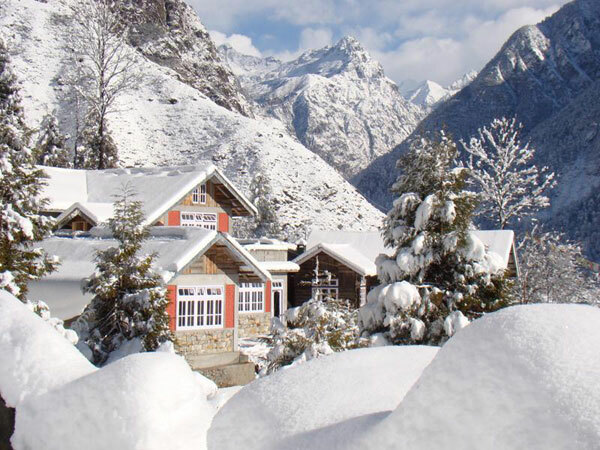 We at Bhutan Travel Packages will make all possible effort to make your Bhutan visit comfortable and most endearing experience of your life. History : Bhutan's early history is obscure but, since at least 12th century, it has been colonized by a succession of rival Buddhist religious orders from Tibet with the currently ruling Drukpa sect becoming established in the 17th century following a dispute in Lhasa with the Gelugpa sect headed by the Dalai Lama. The first hereditary king of Bhutan was installed on 17 December 1907. An Anglo-Bhutanese Treaty, signed in 1910, placed Bhutan's foreign relations under the supervision of the Government of British India. After India became independent the treaty was replaced in August 1949 by the Indo-Bhutan Treaty of Friendship. In addition, the Government of India has undertaken not to interfere in the internal administration of Bhutan. Bhutan is bordered by Tibet in the north and the Indian states Assam and West Bengal in the east, west and south. Area of 47,000 Sq. Km. Altitude varying from 180 mt to 7,550 mt above sea level. 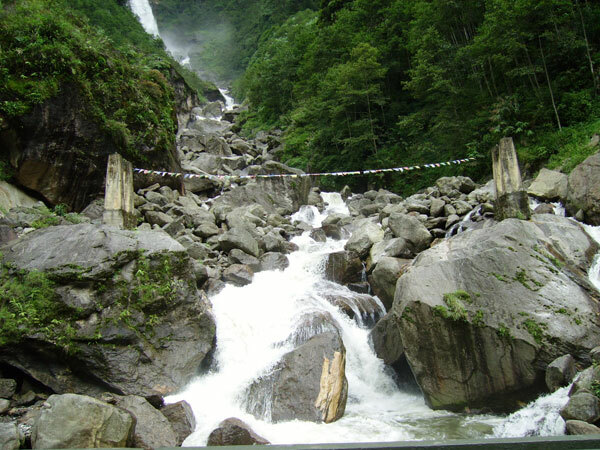 Access : To enter Bhutan by road one has to reach the Indian border town of Jaigaon, which is about 150 kms from Siliguri. Just a minute walk from the Jaigaon bus stand is the gate through which you enter Phunsoling and reach the Bhutan State Bus Stand another minute away. By air, there are direct flights from Kolkata and Delhi to Paro in Bhutan. Indian Nationals can enter Bhutan for a limited period. For foreigners the rules are stricter. 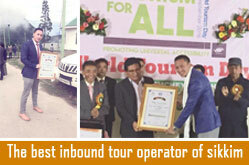 Phunsoling and the Indian border town of Jaigaon are both essentially one town and lie on the bank of the River Tosar. A huge gate made in typical Bhutanese style marks the entry point of Bhutan from India. On crossing the gate from Jaigaon to Phunsoling, one can immediately feel the difference. The noise, jostling and disorderliness is suddenly replaced by a certain degree of tranquility and an atmosphere of relaxation so typical of Bhutanese way of life. Mothigang area, with unique animals of Bhutan. A further uphill climb of about half a kilometer reaches one to the View Point from where a spectacular view of Thimphu town can be glanced. 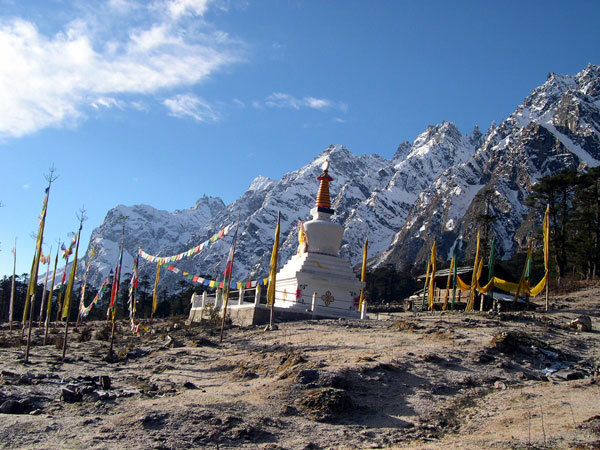 Phajoding Monastery: It is another place worth trekking to and is about a four hours walk from the Motithang area. 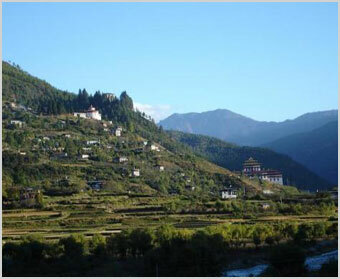 Situated at 12,000 ft, the monastery can be seen from Thimphu high up in thelap of mountains. A further walk of about three hours from the Phajoding Monastery takes one to the Jimilangtsho lakes. Punakha, at an altitude of 5,000 ft, was the old capital of Bhutan and remained so till the late fifties when it was shifted to Thimphu. In 1637 Shabdrung Nawang Namgyal built the Punakha Dzong which besides containing many religious and ritual items, shelters the embalmed body of its maker. 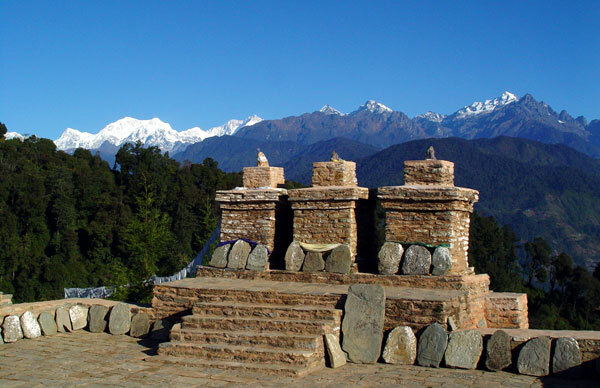 it is said that Guru Padmasambva landed here on the back of the tiger when he came to Bhutan and meditated here. About 20 kms away from Paro in the valley, is another impressive fort the Drugyel Dzong which is said to be the oldest in the country and is nestled on top of a spur. Chhuka:Chhuka, which is situated midway from Phunsoling to Thimphu, has now become synonymous with the Hydro Electric Power Station which generates about 400 Megawatt of electricity to serve for Bhutan and some parts of West Bengal in India. 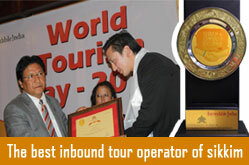 It is a joint venture hydro power plant between India and Bhutan, the two neghbouring and friendly countries. Tongsa Dzong :This fort is perhaps the most majestic one of its nature in the country.